Superficial siderosis is an ultra-rare condition with a small patient population. Our community knows all too well how difficult the journey to a diagnosis and then care. Too often hope dwindles leaving you to wonder how we can make our voice heard when our numbers are so small? A disease is classified as rare in the United States if there are fewer than 200,000 confirmed cases. Fewer than 2,000 and you join the exclusive ultra-rare class. Superficial siderosis is classified as ultra-rare — lucky us. There are 7,000 recognized rare diseases and conditions, and in the U.S. alone one in ten will be diagnosed. Global Genes estimates there are over 300 million people worldwide fighting a rare disease. When you think about it, our voices might be small but together as a rare disease advocate community we can not be ignored. Once life on the doctor-go-round slowed, I found myself searching for a new way to make a difference. It turns out we have non-profit organizations serving the rare disease community as a whole, who offer training and advocacy support. The EveryLife Foundation mission statement was a magnet. Enhance the patient voice in policy making, drug development, and regulatory decision making. Help ensure rare disease patients receive the earliest access to diagnostic and treatment opportunities. Improve the regulatory process and advance science for rare disease therapies. 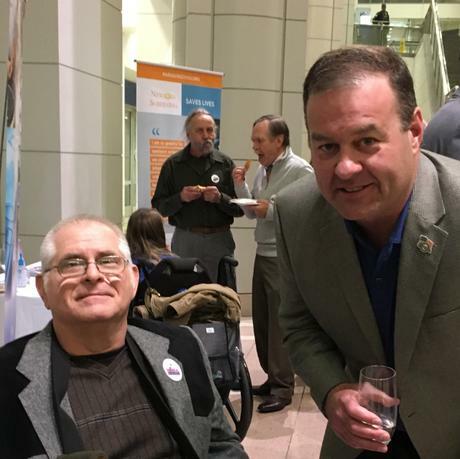 EveryLife sponsors a program, Rare Disease Legislative Advocates. 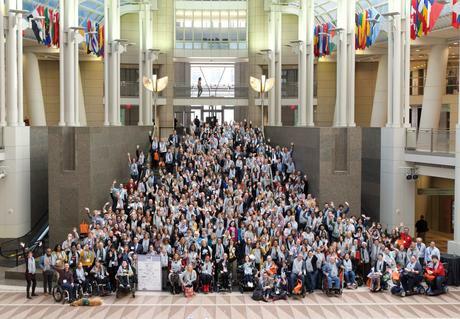 “Every Voice Matters.” Each February they send a group of patients, advocates, and patient advocacy organizations to Capitol Hill to speak first-hand with congressional members about issues affecting the rare disease community as a whole and problems specific to your condition. For one single moment this fall, I chose to ignore a lifetime of being a terminal introvert and took the plunge. 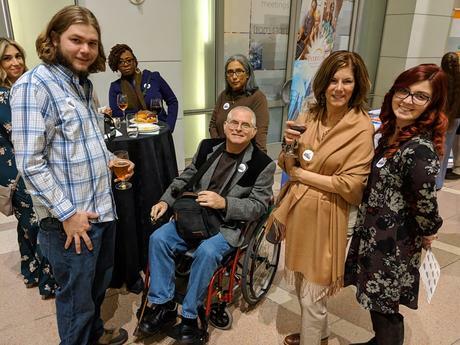 We would try to attend Rare Disease Week On Capitol Hill. You can not imagine my terror on reading the welcome email: “Dear Living With Superficial Siderosis, We’re happy to…..” Gary was unfazed by the news. After taking a breath, my planning began. By New Year’s day, our travel arrangements were complete, our daughter had agreed to travel with us, and I was reading through training schedules and event times. It would be a full week. Public transportation is a mystery to those of us who live in rural Texas. We flew into Baltimore, took a bus to the train station, rode the train into Washington D.C. and finished our journey on a streetcar. We have ridden rapid transit systems before but this would be our first trip by train and our first time navigating travel with a wheelchair. It turns out public transportation is very wheelchair accessible on the east coast. Kudos to the ADA. Sunday evening we met our fellow superficial siderosis advocate Kyle Dempsey along with many other excited advocates. Some were first-time attendees like we were and others were veterans like Kyle. Kyle has been very active preferring to stay out of the spotlight but working hard behind the scene for superficial siderosis. 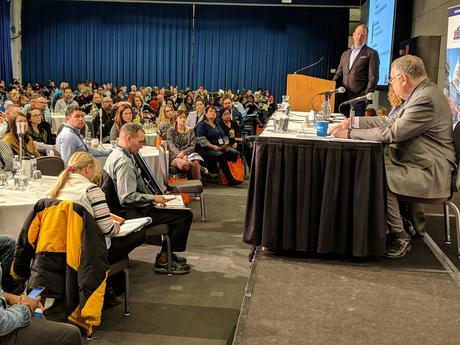 We met for a day-long legislative conference training session on Monday. 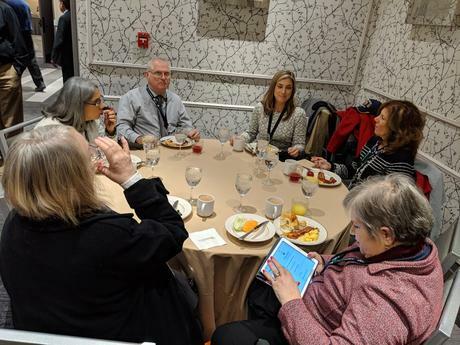 The morning was spent in a large group listening to speakers from Capitol Hill and patient advocacy organizations on building effective relationships with Members of Congress and introducing your legislation. The afternoon was smaller groups learning how to present your information, writing and practicing delivering your ask, and how to shape specific legislation. Next, we were meeting with other advocates from our home state. Eight rare disease organizations were present from Texas. We made plans to walk to Capitol Hill as a unified group in the morning. We had five meetings scheduled for lobby day. We missed one because we were asked to stay past the end of the meeting time. I feel very positive about our day. I discussed the copay burden some of our community are shouldering, a request for legislative help with securing funding from the NIH and NCATS for research, further clinical trials, alternative treatments, and deterring the frequency of misdiagnosis. The FDA defines a natural history study as “the course a disease takes in affected individuals from the time immediately before its inception, progressing through a presymptomatic phase and different clinical stages, to outcome in the absence of treatment.” For most rare diseases, natural history data and information is either not available or incomplete. We asked for legislative help with obtaining funding from the FDA Natural History grant program to collect data on how superficial siderosis progresses over time, so data is available to support and develop new and existing therapies. Last, we asked for legislative help to secure a grant for Dr. Levy to further his research. Will we be successful? I certainly hope so. Our Senate office asked we include our House Office contact information when I send the background information on Monday so they can work together on our requests. You can be sure I will be following up on our correspondence. 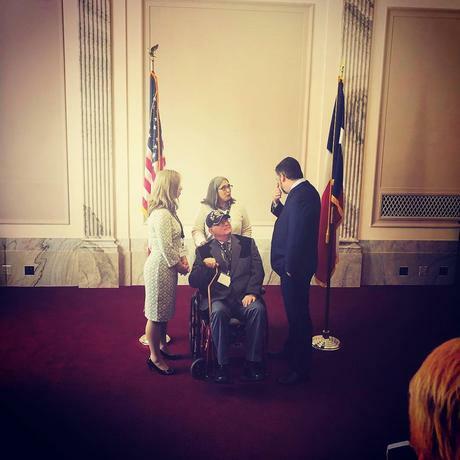 Wednesday we attended the bi-partisan Rare Disease Caucus briefing. 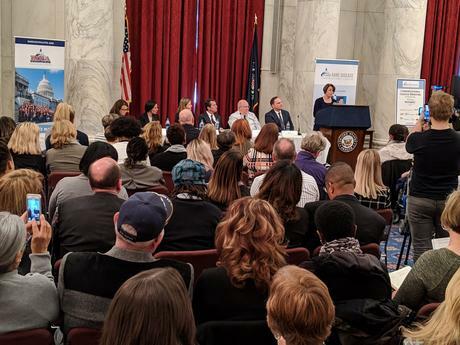 Speakers included Senator Amy Klochubar (D – MN), Dr. Chris Austin – NCATS, Janet Maynard – FDA, Angie Rowe – Global Genes, Pilar Magouloas MS, CGC – Texas Children’s Hospital, Dr. Marshall Summar – Rare Disease Institute, and Representative G.K. Butterfield (D – NC). Thursday morning we headed to the National Institutes of Health in Bethesda, Maryland where Kyle and I spoke with Ingrid Frey, Office of Patient Recruitment about expanding their research to include superficial siderosis. 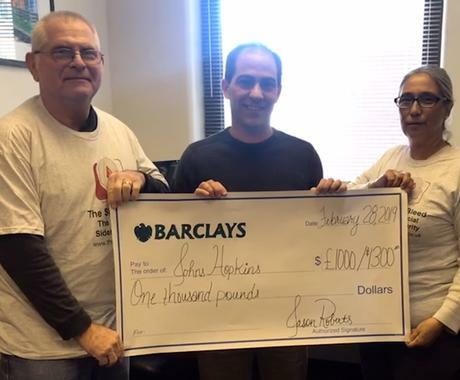 At noon, we traveled towards Johns Hopkins in Baltimore where it was our pleasure to represent The Silent Bleed and present Dr. Levy with a check earned from the hard work and fundraising efforts of Jason, Amanda, and everyone else who helped. After an excellent dinner of Maryland crab specialties, we headed home very tired but more importantly very hopeful for our superficial siderosis community future.